Normal series since 1956. 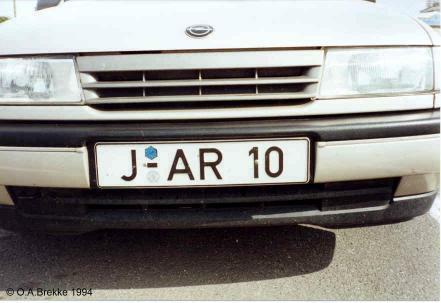 1956-2000 plate style. H = Hannover. Normal series since 1956. 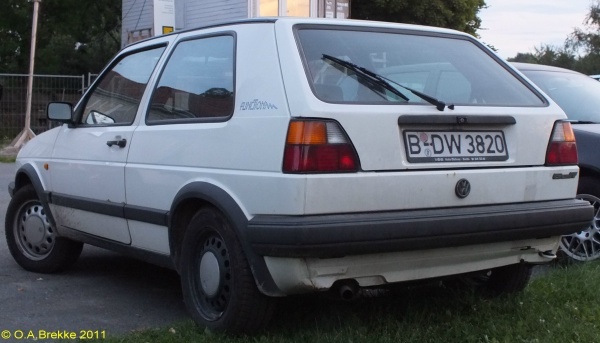 1956-2000 plate style. B = Berlin. Normal series since 1956. 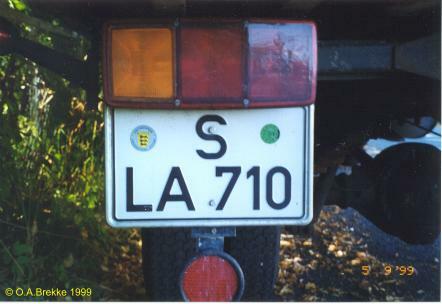 1956-2000 plate style. 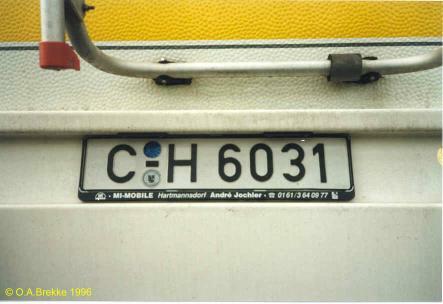 C = Chemnitz (since 1991). Normal series since 1956. 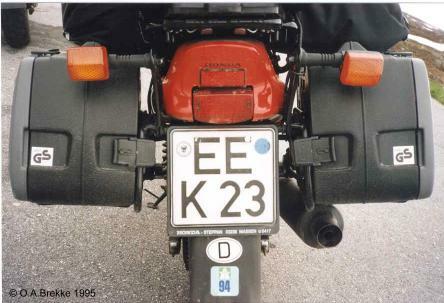 1956-2000 plate style. H = Hannover. 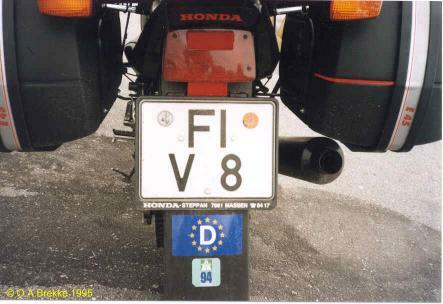 With the private addition of an EU sticker. Normal series since 1956. 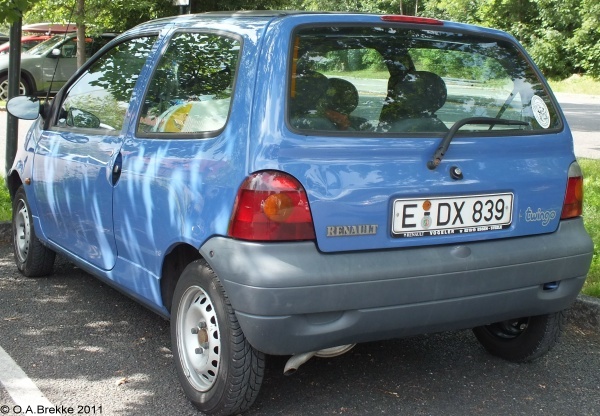 1956-2000 plate style. S = Stuttgart. Normal series since 1956. 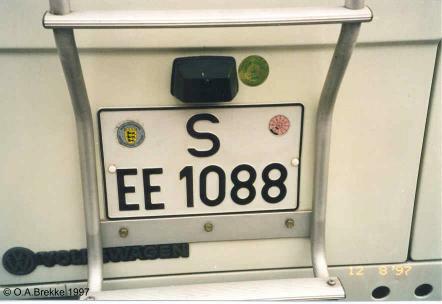 1956-2000 plate style. 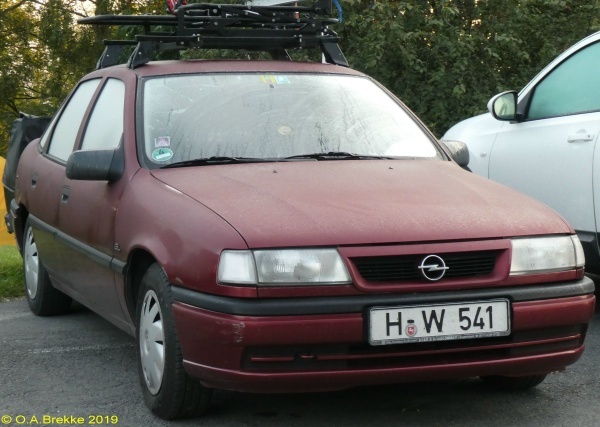 J = Jena (since 1991). Normal series since 1956. 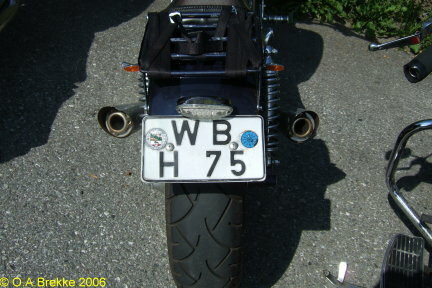 1956-2000 plate style. W = Wuppertal. Normal series since 1956. 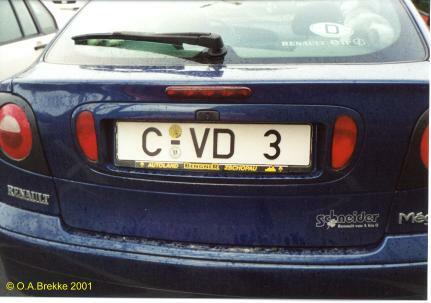 1956-2000 plate style. E = Essen. Normal series since 1956. 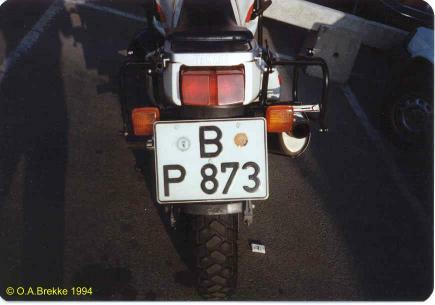 1956-2000 plate style. 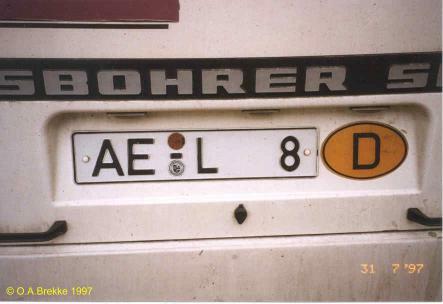 AE = Auerbach/ Vogtl. (1991-96). Normal series since 1956. 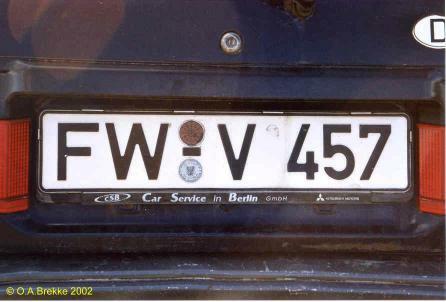 1956-2000 plate style. FI = Finsterwalde (1991-93). Normal series since 1956. 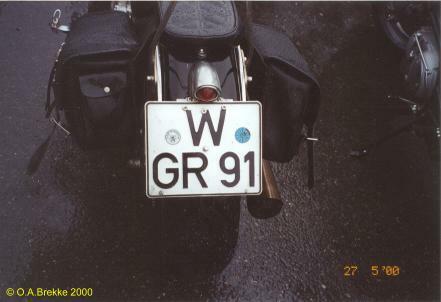 1956-2000 plate style. 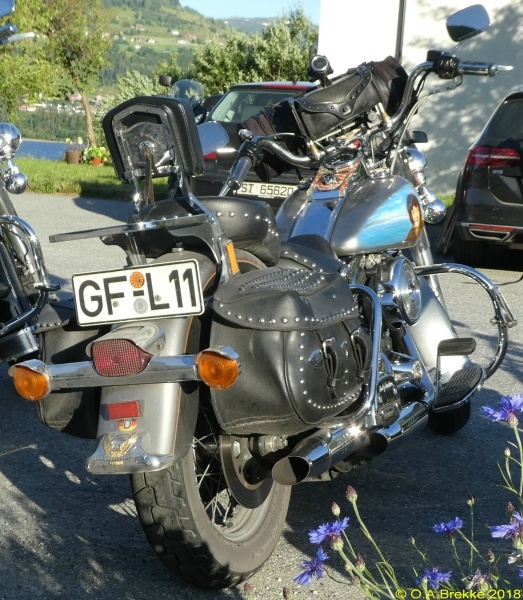 GF = Gifhorn. Normal series since 1956. 1956-2000 plate style. 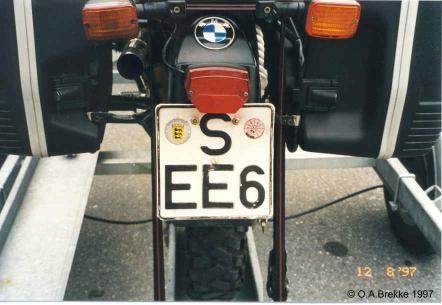 EE = Elbe-Elster (since 1994). Normal series since 1956. 1956-2000 plate style. Small size. WB = Wittenberg (since 1991). Normal series since 1956. 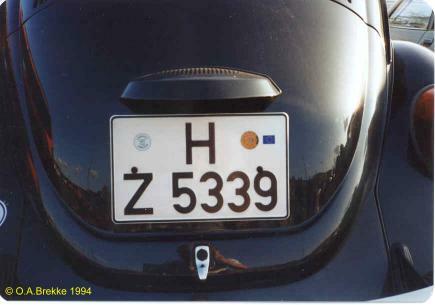 1956-2000 plate style. FW = Fürstenwalde (1991-93).